According to a recent news article from CBS Local Boston, a police officer from the East Bridgewater Police Department suffered severe personal injuries after he was hit by and alleged drunk driver while he was waiting at a red traffic signal. The 24-year-old alleged drunk driver was placed under arrest and charged with operating a motor vehicle under the influence of alcohol (second or subsequent offense), reckless driving, tailgating (following too closely), and failure to stop at a red light. Authorities have said the accident occurred around 1 p.m. as the officer was stopped at a red light at the intersection on Route 18 in the East Bridgewater area. As the officer was waiting for the red light to change, the defendant allegedly crashed his 2013 Volkswagen Golf into the rear of the officers fully marked police SUV. When first responders arrived on the scene of this Brockton area car accident, they found the officer to be in serious, but stable, condition and transported him to a local level-one trauma center for further evaluation and treatment. When other officers from the East Bridgewater Police Department approached the suspect’s vehicle, they allege they immediately detected a strong odor of an alcoholic beverage emanating from defendant’s vehicle. When they first saw the suspect, they immediately noticed he had a rather serious looking cut on his forehead, but he reportedly declined any medical attention for his injuries. There were two other people in the defendant’s vehicle, but fortunately, they were not injured in this alleged drunk driving car crash. Following the administration of a series of standardized field sobriety tests, defendant was placed under arrest and taken to the local police station for booking and processing. He was then released on bail once the police were satisfied he was sober and told he must appear at the Brockton District Court the following Monday, so he can be arraigned on the various criminal charges. If he fails to appear, a bench warrant will be issued for his arrest, he will be charged with a default, and could face additional charges. It should be noted that even though he has been accused of some very serious drunk driving charges, he is presumed innocent unless and until he is found guilty beyond a reasonable doubt in a court of law by a judge or jury. In response to this alleged Brockton drunk driving accident, the chief of the Edgewater police has said that by driving under the influence of intoxicating liquor, this suspect not only put his own life in danger, but also the lives of his passengers and others who share the road including the officer who was seriously injured in this car wreck. 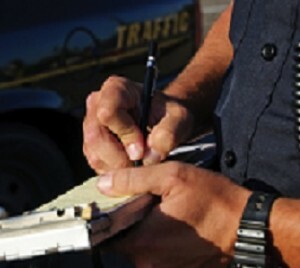 While there are different laws for whether an officer is allowed to file a lawsuit against a civilian while he or she is on the job, if you are injured by a suspected drunk driver, you should contact an experienced Boston drunk driving accident lawyer as soon as possible to see if you have a valid claim.